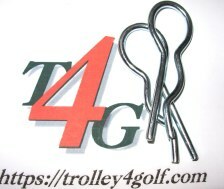 Lynksgt web-domain, and we will endeavor to supply service and repair parts for the TopCart trolleys well into the future. 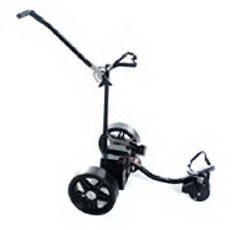 Extremely popular strong trolley with unique folding technique, manufactured in Scotland until end of 09, used more than one control module & pot set ups, we do have a few of original PCB but recommend replace with our complete kit below, for potentiometer, use replacement as listed, only use our wired switched pot with our T4G kit. Chinese imported lookalike not in the same league. 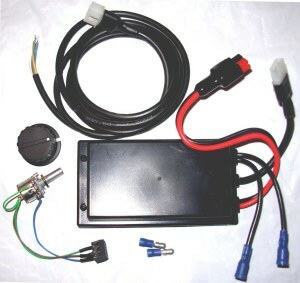 The complete answer T4G module kit. 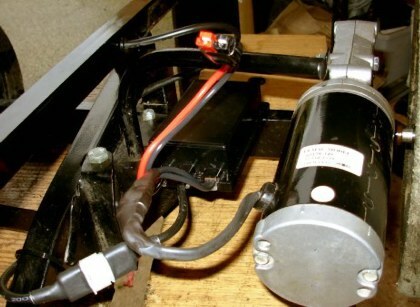 remove height adjusting bolt, makes easier to pull harness through, care when refitting so as not to snag new lead. 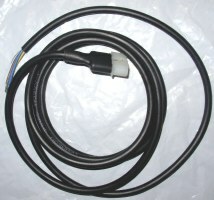 for kit with white molex 3 pin plug from module. 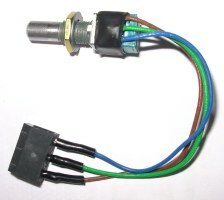 THIS IS A SWITCHED POTENTIOMETER. 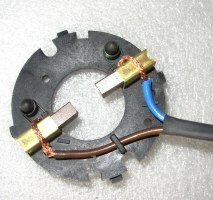 Original hard wired module use non-switch below. Occaisionally we have used Topcart suits refurburbishment. BEST CHECK WITH US FIRST. To Switch or not to Switch! 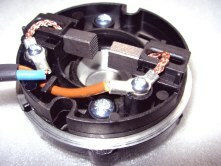 All pots are generally the same, BUT can be wired switched or wired non-switched. 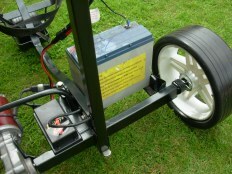 Top Cart generally apart from very early or very late models were fitted non-switched pot. The fact that the pot clicks is not an indication of switched. Opererates by pushing knob in. 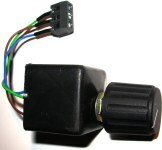 hard wired control module above with hard plastic housing, this potentiometer will fit housing. 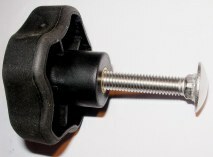 Hard plastic housing, won't take std 10k potentiometers. 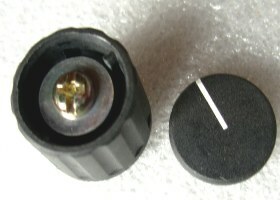 Plastic square cap potentiometer housing. 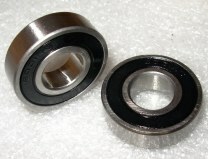 located to trolley with very short PK screw. 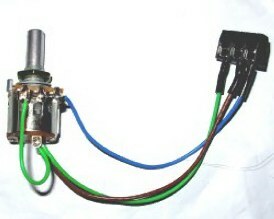 Pot Holder with potentiometer & knob. Buy a pot and housing and we will fit togetther for you. 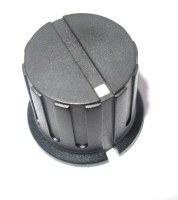 Pot knob small original spec. One piece with grub screw. Click here to purchase leads. FITTED WITH T4G KIT ABOVE. 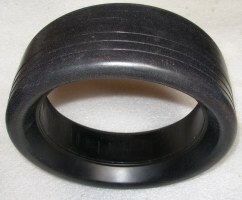 Some Top Cart trolleys have this ring. 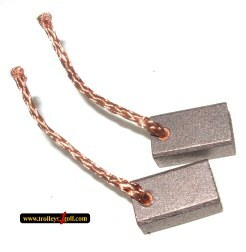 34711-004 Brushes as used in above assemblies. 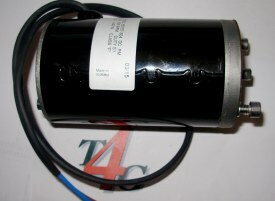 Topcart motors using 34711-015 brushes. 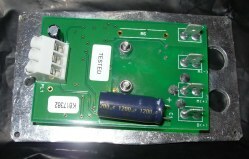 Please visually check the above there are two types, check wire layout. 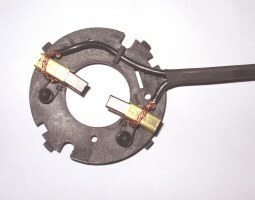 For brushes with saddle springs. 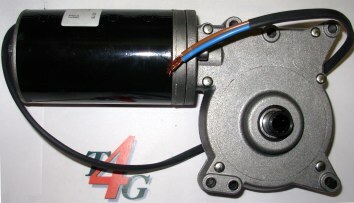 Is a 65157-304 when attached to gearbox! 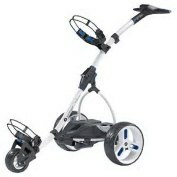 Topcart, Fraser, Golfglider, Caddiemaster, Kaddieboy. 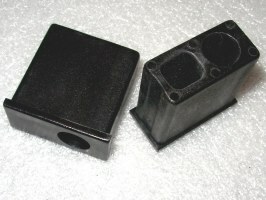 Replaces 65178- 028/347 and others. 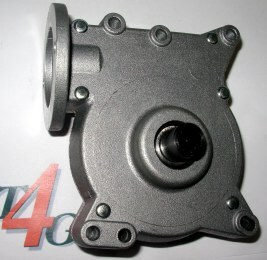 Gearbox only, fits all lemac motors. 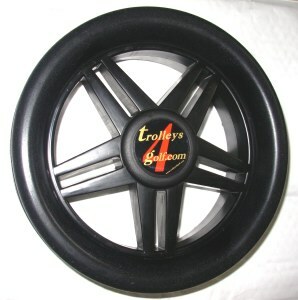 and some older trolley types. 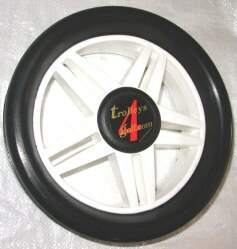 To purchase front wheel click link. 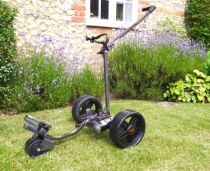 older trolley use G-TECH with bush. 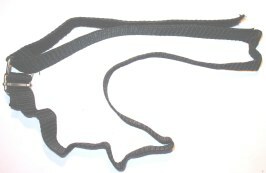 R Clips for axle drive or wheel retention. 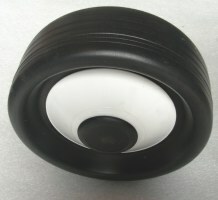 Use flite wheels above pair. 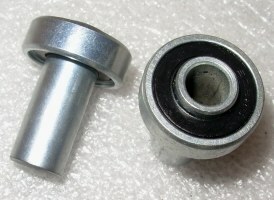 8mm bolt for frame adjuster. tighten up that sloppy frame. 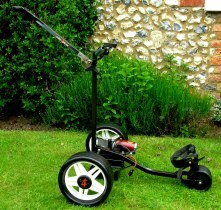 Trolleys can be collected serviced/repaired and shipped back. Collection and return is £24.00. 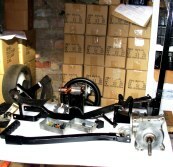 This older trolley had motor overhauled new brushes & bearings, new controller kit, new chassis bushes and bolts where necessary. 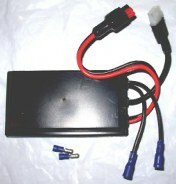 Can use smaller battery on Topcart as below. 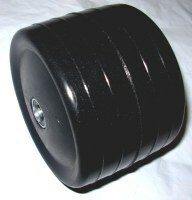 sits upright secured by lugs in tray. 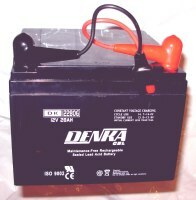 TOP QUALITY GOLF TROLLEY BATTERIES.